The U.S. and Canadian companies were renamed American Eurocopter Corporation and Eurocopter Canada Ltd. with the merger of the helicopter divisions of Aerospatiale and MBB to form Eurocopter Group in 1992. In 2003, American Eurocopter opened production facilities in Columbus, MS, and in 2004, Eurocopter Canada expanded its presence in Fort Erie, Ontario, and Richmond, British Columbia. 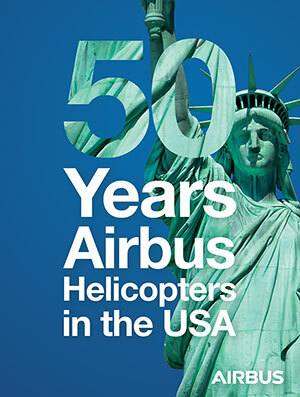 After a series of product development, sales and delivery milestones, the two companies took on the Airbus branding in 2014 and now comprise a regional organization, Airbus Helicopters North America, which will be celebrating the milestone anniversaries with events and campaigns throughout the year.